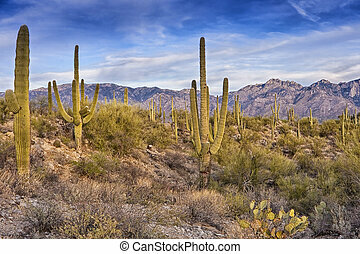 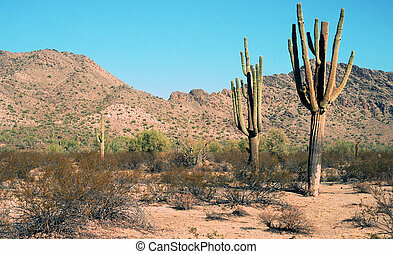 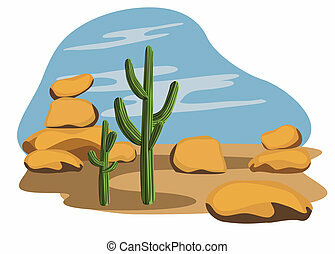 Cactus and desert. 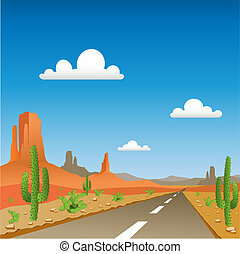 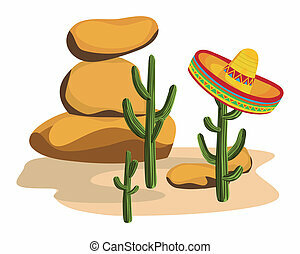 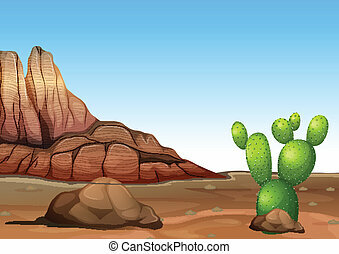 A latin american desert scene with rocks and cactus. 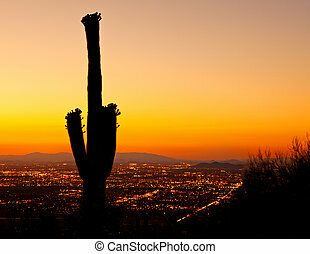 A beautiful golden sunset over the city lights of downtown Phoenix with a silhouette of a blooming Saguaro cactus in the foreground. 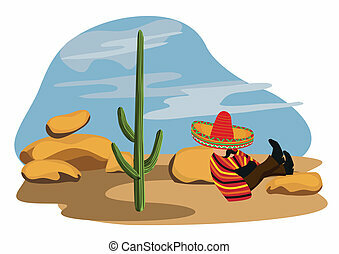 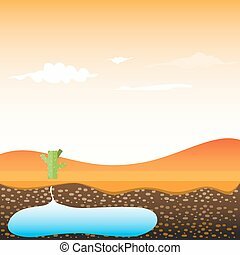 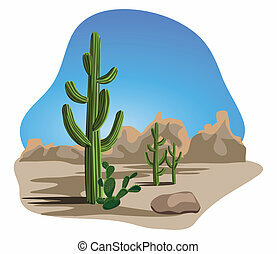 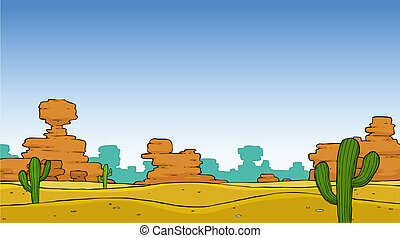 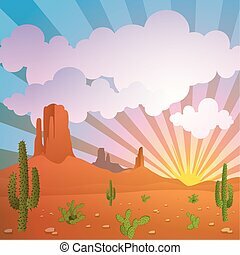 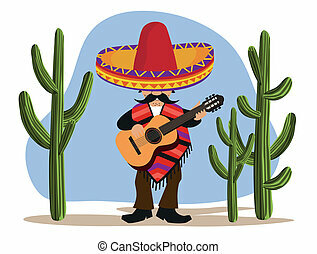 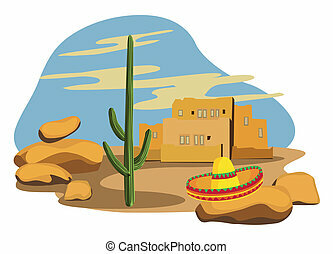 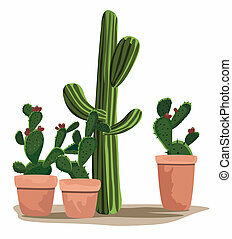 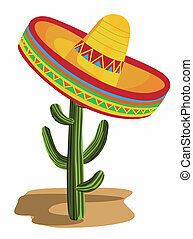 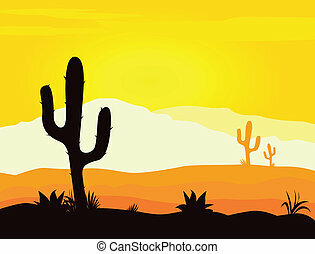 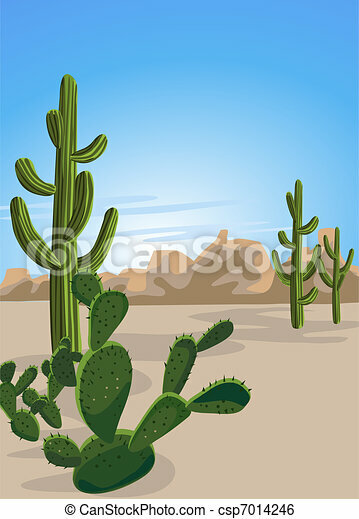 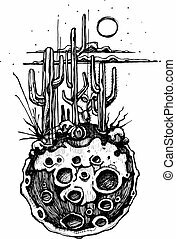 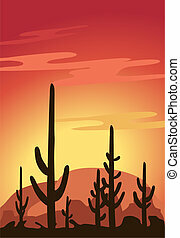 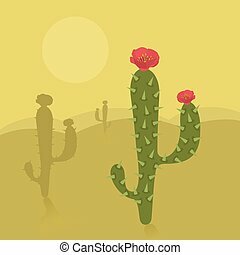 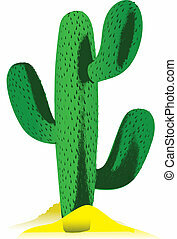 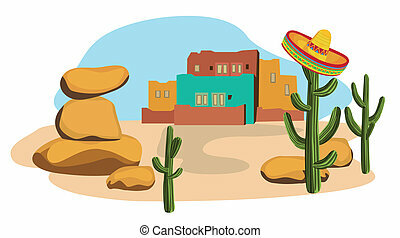 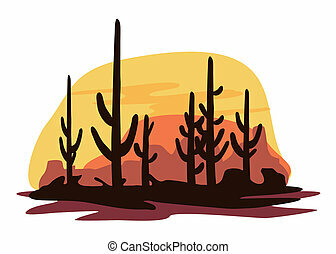 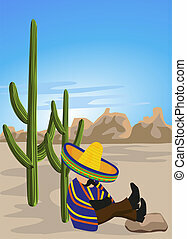 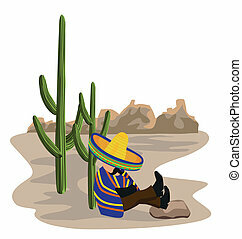 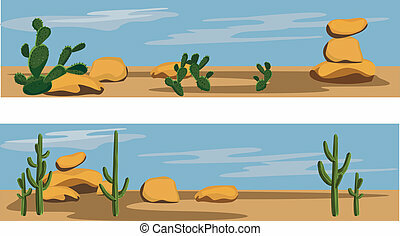 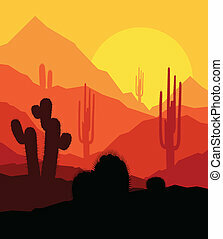 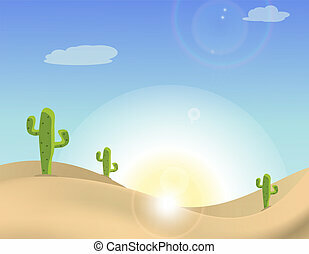 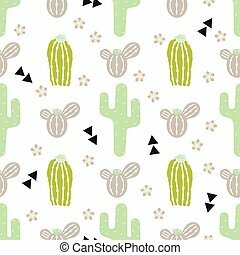 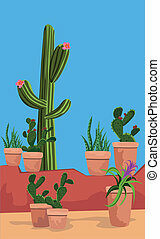 Vector illustration of a cactus and desert cartoon EPS10 file.